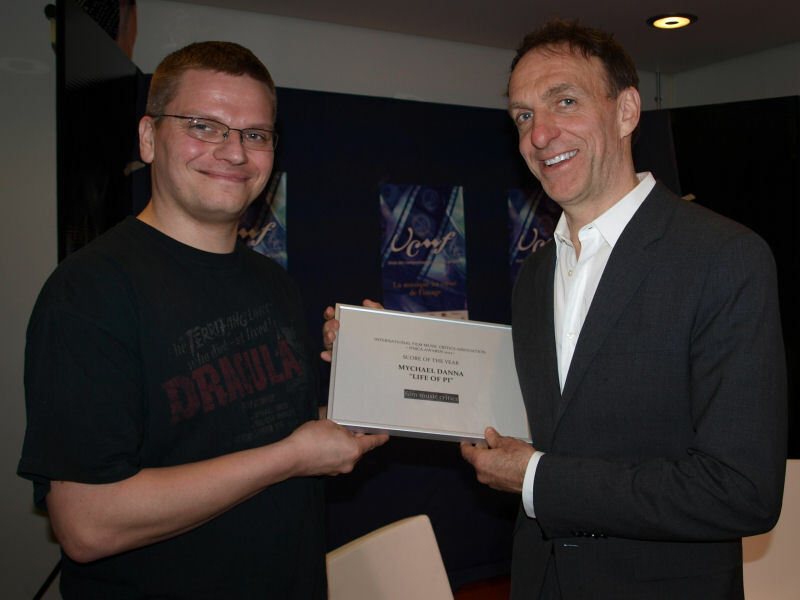 Composer Mychael Danna has been presented with the International Film Music Critics Association Award for Film Score of the Year in 2012 for Life of Pi by IFMCA members Olivier Desbrosses and Florent Groult. 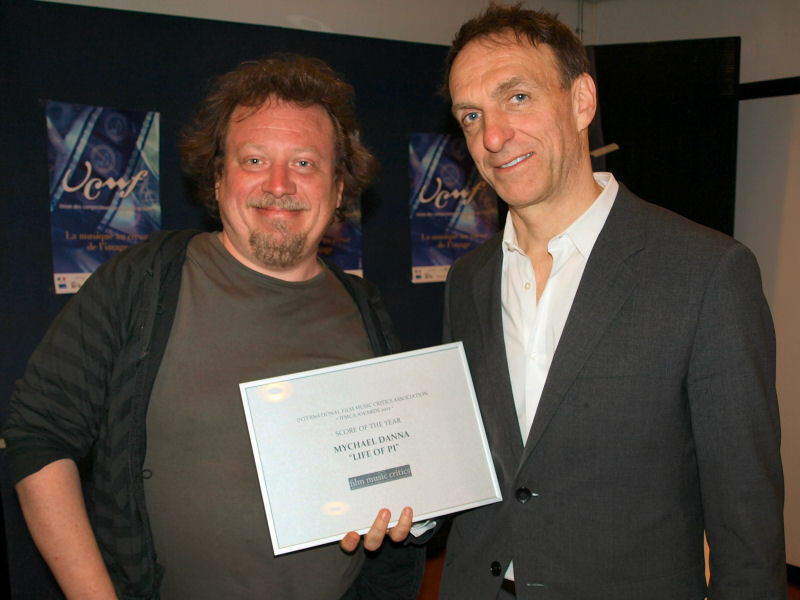 Danna was presented with the award in Paris, France, where he was taking part in “An Evening with Composer Mychael Danna and Director Atom Egoyan” at the Bibliothèque Nationale de France. This is Danna’s first IFMCA win, having previously been nominated five times – for Film Composer of the Year in 1999, Best Drama Score for Being Julia in 2004, Best Drama Score for The Nativity Story in 2006, Best Comedy Score for Little Miss Sunshine also in 2006, and Best Fantasy/Sci-Fi-/Horror Score for The Imaginarium of Doctor Parnassus with his brother Jeff in 2009. Danna was also nominated for Film Composer of the Year, Best Original Score for a Drama film, and Film Music Composition of the Year for the song “Pi’s Lullaby” for this score. 2012 was a banner year for the Canadian, who won an Academy Award, a Golden Globe, and a BMI Film & TV Award for his work on director Ang Lee’s spellbinding film. 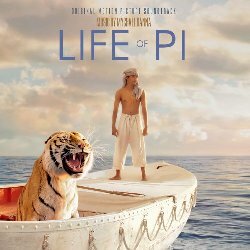 Life of Pi is a spiritual drama about a young Indian boy who – after being shipwrecked while emigrating to Canada with his family – finds himself floating alone on a makeshift raft with nothing but a hungry Bengal tiger for company. What follows is an extraordinary story of friendship, trust, survival, faith and belief, as Pi must overcome his greatest fears and the overpowering forces of nature to reach safety. Danna’s lush, haunting, unusually intimate world music-inflected score mixes a large orchestra with ethnic influences from America, France, and India to create a marvelous musical tapestry that captures one of the underlying points of the film about cultural cross-pollination and respect for different cultures. Danna began his career in his native Canada, working extensively with director Atom Egoyan on films such as Exotica and The Sweet Hereafter, before reaching a wider international audience with his first score for Ang Lee, The Ice Storm, in 1997. 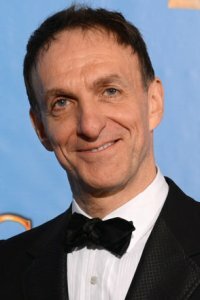 Since then, Danna has cemented his position as one of film music’s most respected composers through commercial successes such as 8MM (1999), Little Miss Sunshine (2006), Surf’s Up (2007), The Time Traveler’s Wife (2009), and Moneyball (2011), as well as critically acclaimed scores for movies such as Ride With the Devil (1999), Hearts in Atlantis (2001), Ararat (2002) and Vanity Fair (2004).